The rollout of the Huduma Namba, also known as the National Integrated Identity Management System (NIIMS) will proceed as planned following a court ruling on Monday. President Uhuru Kenyatta will today, Tuesday 2, officially launch the Huduma Namba in Machakos County. However, a three-judge bench of the High Court has put strict conditions for the government to adhere to. Firstly, the State is prohibited from collecting DNA and GPS coordinates pending the determination of a case filed by the Kenya Human Rights Commission. The High Court has also suspended the mandatory roll-out of NIIMS. This means that the government cannot force or compel any person to register in NIIMS. Only Kenyans willing to give out information can now do so during the ongoing registration process. The three-judge bench has also barred the government from issuing deadlines for the collection of NIIMS data, from making registration to NIIMS a condition for receiving government services, or sharing NIIMS data with any organization whether international or otherwise, for any reasons. The orders are in place pending the determination of a case in which KHRC was seeking the suspension of the excise. Through lawyer Martha Karua, the human rights agency argue that the process interferes with an individual’s right to privacy. 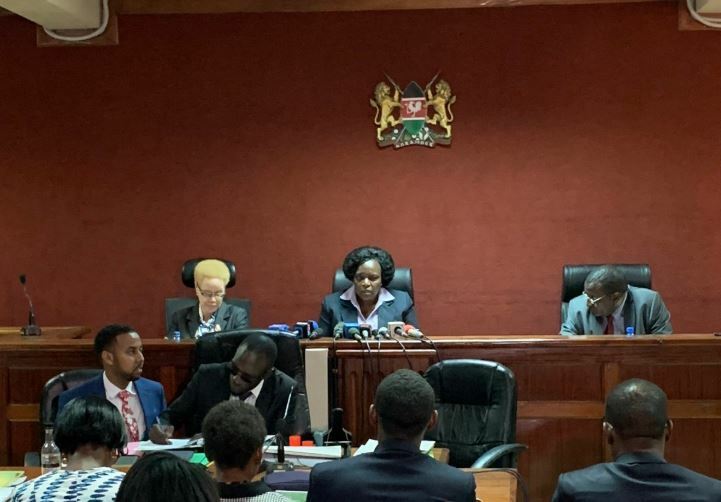 Martha Karua said it is in the interest of the public for the court to stop the process because the government will not suffer any prejudice.